In its hybrid war against countries near and far, Russia has fought its share of losing battles. The country's interference in the 2016 U.S. presidential election, for example, prompted Congress to redouble its sanctions against Moscow, even though the Kremlin's desired candidate won the race. Similarly, in the Baltic states, Russia hasn't managed to replicate the success of its disinformation campaign in Moldova, where voters elected a presidential candidate sympathetic to Moscow in November 2016. Hybrid warfare, after all, is not a one-sided game. In each of the three tiers of countries that Russia has targeted, states have responded in kind with a full range of countermeasures. Russia's military and paramilitary actions in Crimea and eastern Ukraine, a response to the Western-backed Euromaidan uprising in Kiev, met with an array of reprisals. On the ground, the North Atlantic Treaty Organization beefed up its presence and security commitments in Poland, the Baltics and Romania. The United States and NATO have increased security support to Ukraine, too, as the country retools and bolsters its military capabilities to meet the defense bloc's standards. Kiev, meanwhile, has worked to subvert the Russian-backed rebels in Donbas in retaliation for the protests and attacks Moscow and the separatists have sponsored on its territory. Thursday’s attack in Barcelona – and possibly today’s attack in Finland – are yet more tragic examples of how common objects such as vehicles and knives can be used as weapons by terrorists to generate an overarching sense of fear and inflict mass casualties. Western authorities and intelligence agencies have remained vigilant in thwarting these attacks, but it is nearly impossible to track every potential suspect or to guard every potential target. The Cipher Brief’s Bennett Seftel sat down with counterterrorism expert Bruce Hoffman, author of Inside Terrorism, now in its third edition, to discuss the recent events in Barcelona, how the U.S. and countries in the EU are working to combat the evolving terrorist threat, and if we should expect even more ISIS driven attacks as the group continues to lose territory in Syria and Iraq. The Cipher Brief: Before yesterday’s attack in Barcelona, the most recent large-scale terrorist attack in Spain was in 2004 in Madrid. How effective has Spain’s counterterrorism strategy been over the years? Bruce Hoffman: Spain, for at least a couple of years now, has been at the second highest level of national alert. So beyond any doubt, the country has been extremely vigilant and well prepared for a terrorist incident. This is a reflection of the fact, at least according to the research of the Elcano Royal Institute in Madrid, that there have been nearly 200 arrests of persons in Spain with links to ISIS or al Qaeda between 2013-2016. Interestingly, there has been a similar number of either Spanish nationals or residents of Spain leaving to fight with ISIS overseas, which is even lower than the U.S. number. This strongly points to the fact that the challenge in Spain is very much of a homegrown phenomenon with radicalization occurring both online and throughout social networks in that country itself for operations in Spain and not necessarily elsewhere. Partition has left a deep, diffuse and damaging legacy across India, Pakistan and even broader South Asia. This week marks the seventieth anniversary of Partition—one of the bloodiest and most traumatic events of modern times. The basic history is well known. In August 1947, Great Britain granted independence to British India. The prized colonial possession was split into two new nations: Hindu-majority India and Muslim-majority Pakistan. Millions of Muslims fled India and millions of Hindus fled Pakistan to relocate to their new religious homelands. Horrific orgies of violence accompanied these mass migrations, producing—according to some estimates—up to two million deaths. Partition, not surprisingly, has left a deep, diffuse and damaging legacy across India, Pakistan and even broader South Asia. Above all, Partition has given India and Pakistan perpetual identity crises. Both countries have struggled to define the role of religion in the state. Independence leader Muhammad Ali Jinnah once spoke of Pakistan, which was established as an Islamic state, as a haven for religious tolerance and diversity. However, subsequent leaders Islamicized the country, helping give rise to the religious extremism that afflicts Pakistan today. Sadly, the Pakistanis most vulnerable to extremist violence are religious minorities—whose families, decades earlier, made the brave decision to stay put at Partition. 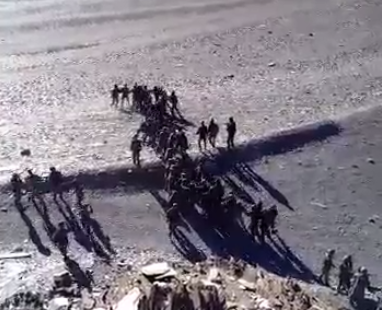 On August 15, an Indian border patrol in Ladakh intercepted an attempt by Chinese People’s Liberation Army (PLA) soldiers to cross the Line of Actual Controls in the Pangong Tso (Lake) area. The incident saw some escalation, with troops on both sides eventually resorting to shoving, pushing, and throwing stones at the other, causing injuries. According to the Indian Express, PLA troops “tried to enter the Indian side in two areas — Finger Four and Finger Five — twice between 6 a.m. and 9 a.m.” Indian border patrols were successful in preventing the incursion attempts, which fell on India’s independence day. The Indian Ministry of External Affairs (MEA) confirmed the incident at Pangong Lake four days after it occurred. “I can confirm that there was an incident at Pangong Tso on August 15… Such incidents are not in the interest of either side,” an MEA spokesperson noted, without specifying the extent of injuries on either side. The Chinese Ministry of Foreign Affairs, meanwhile, has not directly addressed the facts of the incident, with spokesperson Hua Chunying mentioning that she was not “not aware of the details” the day after the incident. On August 17, Hua told a reporter that she was “not aware of the ongoing engagement or dialogue between the border troops of the two sides on the ground,” referring the question to the Chinese Ministry of National Defense, which has yet to publicly comment on the incident. I have often discussed how the key to job creation lies in the utilization of information and digital technologies. While I don’t have a laundry list of the kinds of jobs that should be available, I do have a framework in mind for the kinds of skills we need for future jobs that will be dependent on a connected India. So allow me to elucidate on the kinds of skills needed to create relevant employment opportunities for the future and a scenario that can simultaneously uplift rural communities. There are about 250,000 panchayats across India. The government envisions that all of them will be connected to the Internet in the near future under its ambitious National Optic Fibre Network (NOFN) project. However, is merely connecting them enough? There is a need to have every panchayat that is online to have its own exclusive website, where members can share updates, notifications, roles and responsibilities, and budget allocations in a transparent manner. For this to be possible, there is a need to have at least one person from that panchayat or village who is trained in handling technology and another person who is trained in managing information. Together, at the panchayat level, these two people can manage the website, curate content for the website and disseminate local governance-level information to the public through digital tools. Further, a third person should be trained to manage and troubleshoot in case of basic issues related to network failures, rather than be dependent on a technician who will travel from the nearest town or city. This usually takes days, if not weeks, to solve the problem. NEW DELHI: The Indian forces are bracing for more "shallow intrusions" or "needling probes"+ from China's People's Liberation Army (PLA) in vulnerable spots along the Line of Actual Control (LAC), according to sources in the Indian defence establishment. This assessment comes even as the two forces held a border personnel meeting (BPM) in eastern Ladakh on Wednesday to calm down tempers, a day after Indian and Chinese soldiers pelted stones at each other+ near Pangong Lake. The PLA is unlikely to try anything near the already restive Sikkim-Bhutan-Sikkim tri-junction+ because Indian troops are militarily much better-placed there and can easily threaten China's narrow Chumbi Valley in the region, if required, the according to India's assessment. "But the PLA could try something in eastern Ladakh, as was seen on Tuesday, or eastern Arunachal Pradesh or Lipulekh Pass and Barahoti in the central sector (Himachal-Uttarakhand)," one of the sources said. The Indian defence establishment, however, is sticking to its belief that China will not risk a full-fledged war despite its major build-up of troops, artillery, air defence, armoured and other units in the southern part of the Tibet Military District that falls under the Western Theatre Command (WTC) of the PLA, after the Doklamconfrontation erupted on the eastern front in mid-June. The two-month-long confrontation between Chinese and Indian troops in Doklam, on the Sikkim-Bhutan border, is raising tempers elsewhere on the Sino-Indian border, most notably Ladakh, where China enjoys an operational and logistic advantage over India, unlike large sections of Sikkim and Arunachal Pradesh. For decades, Indian and Chinese patrols have confronted each other with relative restraint. At worst, words would be exchanged and some pushing and jostling carried out before both sides disengaged and returned to their camps. Even during longer intrusions, like at Depsang in 2012 and Chumar in 2013, both sides scrupulously avoided physical violence. This absence of bloodshed has been instrumental in ensuring a peaceful Line of Actual Control (LAC), as visualised by the Sino-Indian “Peace and Tranquillity Agreement” of 1993. On Independence Day, however, mounting Chinese frustration boiled over at the scenic Pangong Lake. At about 7 a.m., a couple of hours before the two sides exchanged traditional gifts of sweets at nearby Chushul, a Chinese patrol consisting of “border defence” troops from their post at Khurnak Fort began pelting stones at an Indian patrol that had come to the same location – the hotly disputed “Finger 5” area. Will US Sanctions on Hizbul Mujahideen Make Pakistan Reconsider Its ‘Good Taliban’? The U.S. upping the ante on Pakistan-based militant groups was expected following the election of President Donald Trump last year. And the United States’ tilt towards India has been increasingly visible since Trump’s address to the Riyadh Arab Islamic American summit in May, where he singled out India as a victim of terrorism in South Asia, despite the overwhelming Muslim presence at the summit, including Pakistan. The Riyadh summit was immediately followed by the killing of HM commander Sabzar Bhatt, which resulted in a leadership crisis for the group that has culminated in Mohammed bin Qasim being ushered to the helm, after Yasin Yatoo’s death in an encounter and Zakir Musa’s defection into an al-Qaeda affiliated cell. KABUL (Reuters) - Navigating a chaotic maze of cars and people, the convoy of British army armoured vehicles weaves slowly through Kabul. The job of about a dozen soldiers is to protect just two international advisers on their way to meet Afghan soldiers. While every mission varies, for every adviser deployed in Afghanistan as part of a NATO-led multinational force, many more soldiers are tasked with providing security and support. The minimum security requirements mean that providing even just a few thousand advisers for Afghan security forces is a monumental task that, if continued, will keep many thousands more international troops and contractors facing daily threats. That calculus will factor into arguments put before U.S. President Donald Trump on Friday as he and advisers meet ahead of a long-awaited decision on strategy and troop levels for the United States' longest war. Fewer than 25 percent of coalition troops in Afghanistan are dedicated advisers - with the rest either in a security, support or a combined role. Nepal’s International Airport, even before Kathmandu gets a chance to introduce itself, a large flex-banner advertisement yells from the ground-floor landing: ‘shop from the ‘Made in China’ mall, only one-hundred-and-fifty kilometres away from Kathmandu.’ The mall called Gyidragon, which is a cross border-shopping platform working out of Gyirong port in China, holds special significance for the people of Nepal. During the Madhesi blockade of 2015, supplies were sent from the port to ease the distress in the country. The drift of this message is that distances between Nepal and its northern neighbour have collapsed: goods can travel either two days by road, or two days by train and China is willing to move mountains to come closer. This high decibel propaganda is not just limited to a random hoarding but is overwhelmingly visible in the discourse and the manner in which the Chinese are pushing hard to enlarge their control and influence in the landlocked Himalayan country. Nepal’s decision to sign the Belt and Road Initiative (BRI) of the Chinese government is whetting their appetite for sneaky expansion and spread of their hegemony. They are taking advantage of the schism in the Nepalese society between the people of the hills and the Madhesis, the people of the plains and the angst towards India to push for their geostrategic objectives. While the government has taken care to ensure that the scrutiny of data privacy procedures is not restricted to Chinese handset makers alone, it needs to ensure that Indian data must remain in India’s legal jurisdiction and control. The IT and Electronics Ministry’s directive to 21 smartphone companies to share their security procedures and processes with it has not come a day too soon. While the move, given the Doklam stand-off between Indian and Chinese troops in the Sikkim tri-junction, will be widely seen as subtle Indian retaliation (Chinese smartphones dominate the Indian market), the move can be justified on both counts – privacy of citizens’ data, and as pressure against the Chinese. Only time will tell who prevails in this sparring between China lobbyists and China hawks but it is certain that the outcome will shape America’s foreign policy vis-a-vis China for decades to come. Stephen Kevin “Steve” Bannon, a former banker who is currently serving as assistant to the President and White House Chief Strategist, has earned a reputation of driving the far-right agenda in the Donald Trump administration. In his White House office, Bannon has written down on a white board all the promises Trump made during the presidential campaign last year and is committed to making Trump fulfill these promises, which are obviously very important to the US President’s support base. However, recently, there were reports in the media that Bannon had fallen out of favour with Trump and his inner circle which includes daughter Ivanka Trump and son-in-law Jared Kushner. Things turned acrimonious especially after Time magazine featured Bannon on cover in February with the title “The Great Manipulator”. The perception was growing that “off the charts brilliant” Bannon was pulling the strings from behind while Trump was merely a mask. Soon after, Bannon went underground and has kept a low profile since then to avoid coming into limelight and stealing his boss’ thunder. It now appears that Bannon is willing to resurface again. In an interview to a progressive media outlet, he revealed the fine print of his China Containment strategy. NEW DELHI (Reuters) - India is tightening the rules for businesses entering its power transmission sector and making stringent checks on both power and telecoms equipment for malware - moves that government and industry officials say aim to check China's advance into sensitive sectors. Chinese firms such as Harbin Electric (1133.HK), Dongfang Electronics (000682.SZ), Shanghai Electric (601727.SS) and Sifang Automation either supply equipment or manage power distribution networks in 18 cities in India. Local firms have long lobbied against Chinese involvement in the power sector, raising security concerns and saying they get no reciprocal access to Chinese markets. 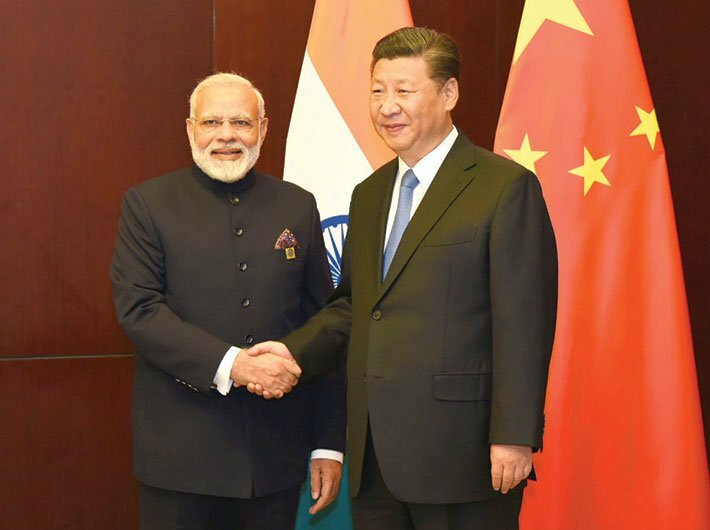 With India and China locked in their most serious military face-off in three decades, the effort to restrict Chinese business has gathered more support from within the administration of Prime Minister Narendra Modi, worried about the possibility of a cyber attack. No insurgency in recent memory has enjoyed as much sensationalist news coverage as the Islamic State, which has consistently been referred to as the “most powerful,” “most dangerous,” and “most barbaric” terrorist outfit since its 2014 blitz across Iraq and Syria. But as the vast gains made against the organization in the last two years show, it was never as invulnerable as it was made out to be. Now the Islamic State’s caliphate is collapsing: Its territories are shrinking, its manpower is dwindling, and its cash reserves are hemorrhaging. By this time next year, the group as we know it today may be barely recognizable. But its legacy will live on virtually, because the superlatives were justified in at least one regard: its information operations. When it comes to strategic storytelling, the Islamic State truly has been unmatched—not only in terms of the quality of its output, but in quantity, too. Since its caliphate declaration in 2014, it has produced literally tens of thousands of official propaganda products, meticulously arranged and always on message. Even now, at its lowest ebb, the group is churning out about 20 unique media products each day. For years, the Islamic State has been allocating substantial resources to producing, refining, and disseminating its core messages, to both followers and adversaries, seeking to ensure that its ideology will live on even as its territorial sway declines. 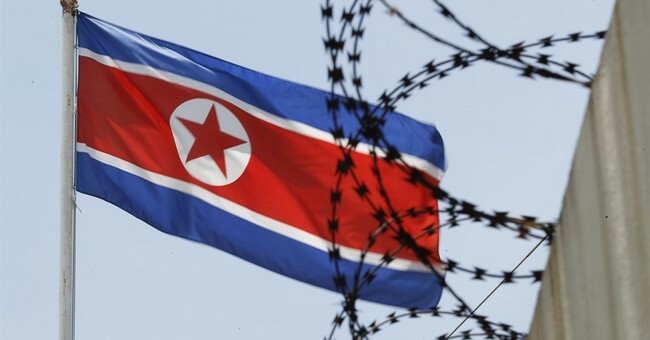 Why Was North Korea’s Head of Intelligence and Cyber-Warfare Recently Welcomed in Cuba? "Cuba is resolutely opposing the U.S. sanctions and pressure against North Korea and expressing full support for the just steps of North Korea in bolstering up defense capabilities including ICBM test-fires…we express our deep thanks to the Korean people who are sending solidarity to the Cuban people's just cause." Alas, whatever else you might say about these mass-murdering, terror-sponsoring regimes, Cuba and North Korea’s vows of love and support have proven inviolate--for better, for worse, for richer, for poorer, in sickness and in health. New offices and nonstop flights from Silicon Valley to Tel Aviv illustrate a talent rush for prized former military specialists. United Airlines started a three-flights-per-week service from San Francisco to Tel Aviv last year. It was so popular that the carrier now runs the route every day, with a Boeing 787 Dreamliner. It’s another sign of the insatiable global demand for technology talent, with former Israeli army engineers particularly prized. The world’s tech giants snap them up as fast as the government can train them. Amazon, for example, is reportedly boosting its presence in Israel by renting 11 floors in a new Tel Aviv tower building. Google has been there for more than a decade, and now Wall Street banks run initiatives across the city. China is pouring in money, on top of Silicon Valley venture capital. Israel’s unusually high rate of entrepreneurship—it’s not known as “start-up nation” for nothing—is partly attributed to the army, which maintains compulsory service and selects many of the country’s brightest minds for its intelligence division. The army’s elite Talpiot recruits are credited with helping develop missile defense systems, while Unit 8200 produces some of the world’s most formidable cybersecurity experts. Is a U.S.-Russia Reset Possible? Since the end of World War II, virtually every president has attempted to reset U.S.-Russia relations. Harry S. Truman confided in his diary that he was tired of “babying” the Soviets when they didn’t carry out the obligations they had undertaken at Yalta. Dwight D. Eisenhower’s “Spirit of Geneva” sought to make a new start with Stalin’s successors. John F. Kennedy sought to recalibrate relations with his disastrous Vienna summit, in June 1961, which paved the way for the Berlin Wall and the Cuban Missile CrISIS. Richard Nixon sought détente with the increasingly sclerotic Brezhnevite leadership. Jimmy Carter also tried to change the terms of U.S.-Soviet relations early in his term, as did Ronald Reagan, who famously proposed a new strategy—“We win, they lose.” Some of these resets were based on the need to get tougher with Russia and some were based on a desire to find common ground. But after the Cold War, all of the efforts went unrequited. The specific irritants in each case were different, but at the end of the day, all of them failed because the Russian reform project faltered in the late 1990s. As a result, rather than joining the liberal international order, Russia became a revisionist state whose fundamental orientation limited the scope for successful engagement with Moscow. That is why Trump’s reset will almost certainly fail—and a good thing, too, since accommodating Moscow’s current demands would almost certainly mean sacrificing traditional U.S. interests. As in the past, resetting U.S.-Russia relations begins with the assessment by each side of the nation’s interests as understood by the political leadership. During the Soviet era, that largely meant managing the bipolar U.S.-Soviet competition to prevent miscalculation that could lead to a nuclear confrontation and, potentially, to a devastating war that, waged with thermonuclear weapons, would have made the level of destruction unthinkable. In the post–Cold War era, the concerns have been more prosaic, and have largely consisted of maintaining and enlarging the normative, rules-based liberal international order that constitutes what Robert Kagan calls “the world America made.” This initially meant trying to recruit Russia into the institutional structures of the order. More recently, it has entailed trying to limit Russian efforts to challenge the order. Over five days in May, Donald Trump’s Iran policy—of monumental importance to the future of the Middle East and to US security—began to come into focus. On May 17, the president quietly agreed to continue to waive sanctions against Iran, a step that was required to keep the Iran nuclear deal in force. Two days later Iran held presidential elections with a landslide result in favor of the moderate incumbent, Hassan Rouhani; and two days after that the United States’ new Middle East policy, built around a Saudi-US-Israel axis, was unveiled in the president’s speech in Riyadh. It had long seemed clear that Trump was not going to “rip up” what he had called in the campaign “the dumbest deal…in the history of deal-making.” The State Department had confirmed repeated findings by the International Atomic Energy Agency (IAEA) that Iran was meeting its nuclear commitments. But the May 17 waiver was the first time that an affirmative action on the deal had to be taken in the president’s name. Iran’s election pitted President Rouhani, the architect of the deal and a proponent of reengaging Iran with the world, against a conservative, nationalist cleric, Ebrahim Raisi, who ran with the backing of the Revolutionary Guard and other hard-line forces. Had Raisi won, the deal’s future in Iran would have been very much in doubt. Instead, Rouhani had a resounding victory with high voter turnout. Though few Iranians have yet to feel any economic benefit from the deal and the end to international isolation it promises, there is little doubt that, for now, they overwhelmingly favor sticking with it. Krugman starts with a look at the past. Hansen’s graphs in the New York Times are what Edward Tufte calls “chart junk” in his classic work about graphics — they lack a scale for the change in temperature. All we know is that summers have grown warmer. How much? The article does not say. In the United States, governments are increasingly turning to public-private partnerships (P3s) to implement public infrastructure works. Here’s why the benefits of P3 project delivery, not just financing, will continue to shift the market in this direction. The World Economic Forum ranks US infrastructure behind that of most other comparable advanced nations such as Singapore, Germany, and the United Kingdom.1And it will get worse: from 2013 to 2020, cumulative US infrastructure needs are estimated to be nearly $3.5 trillion. Fiscal constraints limit how much governments can do on their own, and much has been written about how public-private partnerships (P3s) can be a viable option for filling this financing gap. But most overlook P3s’ ability to address many of the nonfinancing pain points in infrastructure development and delivery. It was the day after Suzy died. Congressman Ike Skelton’s dearly loved soulmate was gone, and Ike’s call to me that night was heart-rending. Our annual House Armed Services Committee battlefield staff ride was the next day so I assumed Ike was calling to cancel. After offering my condolences, I suggested that we might put off the event until the next year. Ike said no. We’d meet as usual in front of the Russell Building at 8 AM sharp. Then off to Antietam. At the time I wondered why. Suzy died in the summer of 2005, a time when Ike became, by his own admission, a tortured soul. He was fearful that his signature military reform, the Goldwater-Nichols act of 1986, was failing. Ike’s passion for educational reform in the 1980s was born in the belief that the military had performed so poorly during the invasion of Grenada in 1983 because the services had not learned to fight together. To use the vernacular, Ike was convinced that the services had to learn to fight “joint.” He agreed that individual services were competent at fighting in their respective domains — land, sea, and air — but they failed when brought together to fight as a multi-service team. While others in Congress sought organizational solutions to the problem, Ike believed that true “jointness” could be achieved only by changing military culture and culture could only be changed by reforming how the officer corps was educated. I write about the broad intersection of data and society. Opinions expressed by Forbes Contributors are their own. As the cyber landscape has evolved, so too has its targets, from governments and large corporations to the smallest local website. From the early days of the modern web when trust was the norm, encryption and security were rare and bad actors were few, to the active cyber war zone of today, companies and private individuals must maintain constant cyber vigilance. In particular, as websites increasingly transform from static HTML pages to ever more complex dynamic data-driven online platforms with backend databases and support files drawn from across the web and powerful CMS systems, security has never been more important, yet especially when it comes to small businesses, few have the experience and expertise to build truly hardened robust security-first websites. Thus, my interest was piqued last week when I received a call out of the blue from someone identifying themselves as a Network Solutions employee who said the company conducts security scans of all of the websites it hosts on a regular basis and that its scans had flagged one of my websites they host as being at high risk of malware infection and that if it was compromised it would be shut down without notice. Immediately suspicious this was a phishing attempt, I asked the person for more detail to identify themselves and specifically what about my site had been flagged as high risk and what the recommended next steps were. The person said they could tell me only that my site had triggered one of 500 different indicators they check for, but could provide no additional detail and as for next steps, I was told to contact a web developer for advice before my site became infected and shut down and the person abruptly ended the call.  What is the size and scope of the trade in firearms and related products on the dark web?  What is the potential impact of dark web enabled arms trafficking on the overall arms black market?  What are the potential implications of dark web enabled arms trafficking for law enforcement agencies and policy makers, at both national and international levels? The potential role of the dark web in facilitating trade in firearms, ammunition and explosives has gained increased public attention following recent terrorist attacks in Europe. However, the hidden and obscure parts of the web are used also by criminals and other types of individuals to procure or sell a wide range of weapons and associated products through cryptomarkets and vendor shops. While the use of these platforms as facilitators for illicit drug trade has been increasingly researched by a number of academics, little has been done to investigate the role of the dark web in relation to the illegal arms trade. We hear endlessly that technology is advancing at an ever-increasing rate. But for the most part, we just plod along in our current life paths. Thinking back, I remember learning how to use a slide rule and typing my college thesis. At the University of Michigan, I punched cards and then handed them through a window to be loaded into an IBM 1080. And then in the early days at DAI, we had a typist who was error prone. So we got her a Selectric II typewriter with correcting tape. We knew something better was needed, so I purchased a Kaypro 2 using a CP/M operating system. I remember the early success of the Wang word processors. They were installed throughout government and business. But Wang could not see that personal computers using a new operating system were on the horizon. IBM (IBM) also did not see what was coming. IBM paid Microsoft (MSFT) to develop the PC-DOS operating system for them. They then made the mistake of allowing to Microsoft to use the same operating system renamed MS.DOS for its own activities. The history of technological change suggests that much of what is coming will not be anticipated. And humans adapt quite slowly to technological change and mostly not until it is eminently clear they should. With that in mind, the purpose of this piece is to listen closely to what technological experts say is coming and reflect on their predictions. There may be a premium for making early moves. The signals. As the exhibit shows, during the early stages of digital competition (when rates of digitization hover below 30 percent), fewer than one out of ten incumbent players across industries have adopted offensive corporate strategies that change their portfolios and business models.2At this juncture, new digital entrants typically hold less than 10 percent of the market. However, when industry digitization climbs toward the 40 percent mark, the environment changes abruptly. That’s when digital attackers will likely have locked in a 15 percent market share and incumbents will be sensing that the upstarts have sufficient momentum to tilt the market to their advantage. The recent news that thirty electronic voting machines of five different types had been hacked for sport at the Def Con hackers’ conference in Las Vegas, some in a matter of minutes, should not have been news at all. Since computerized voting was introduced more than two decades ago, it has been shown again and again to have significant vulnerabilities that put a central tenet of American democracy—free and fair elections—at risk. A small number of election technology vendors and support contractors service the systems used by many local governments. Attackers could target one or a few of these companies and spread malicious code to election equipment that serves millions of voters. … Before every election, voting machines need to be programmed with the design of the ballot, the races, and candidates. This programming is created on a desktop computer called an election management system, or EMS, and then transferred to voting machines using USB sticks or memory cards. These systems are generally run by county IT personnel or by private contractors. Unfortunately, election management systems are not adequately protected, and they are not always properly isolated from the Internet. Attackers who compromise an election management system can spread vote-stealing malware to large numbers of machines. Beyond carrying all of our phone, text and internet communications, cyberspace is an active battleground, with cybercriminals, government agents and even military personnel probing weaknesses in corporate, national and even personal online defenses. 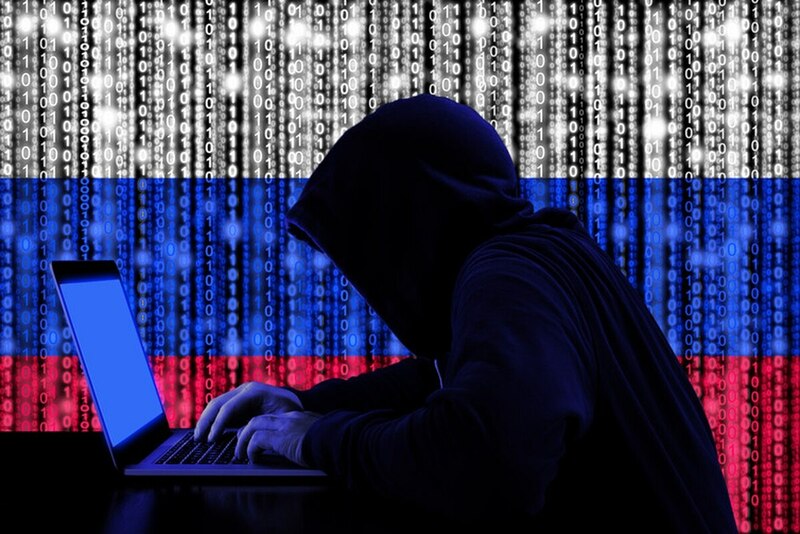 Some of the most talented and dangerous cybercrooks and cyberwarriors come from Russia, which is a longtime meddler in other countries’ affairs. Over decades, Russian operators have stolen terabytes of data, taken control of millions of computers and raked in billions of dollars. They’ve shut down electricity in Ukraine and meddled in elections in the U.S. and elsewhere. They’ve engaged in disinformation and disclosed pilfered information such as the emails stolen from Hillary Clinton’s campaign chairman, John Podesta, following successful spearphishing attacks. Who are these operators, why are they so skilled and what are they up to? The Russian cyberthreat dates back to at least 1986 when Cliff Stoll, then a system administrator at Lawrence Berkeley National Laboratory, linked a 75-cent accounting error to intrusions into the lab’s computers. The hacker was after military secrets, downloading documents with important keywords such as “nuclear.” A lengthy investigation, described in Stoll’s book “The Cuckoo’s Egg,” led to a German hacker who was selling the stolen data to what was then the Soviet Union.